Our goal is to have everyone migrated to the new build by the end of January 2012. So now with that out of the way, let me talk about some new features! The most significant thing you will notice about the new build is that is has an entirely new UI (interface). 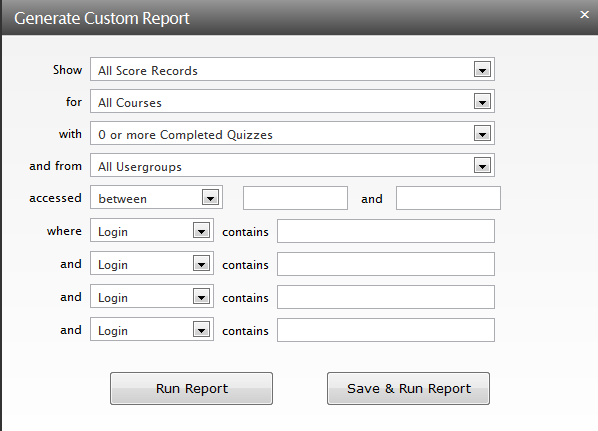 When you first log in, it will feel familiar, but will most definitely look vastly different. Our goal here was to give the app a fresh new, slick and professional look, and also make it easier to scale it and add new features and plugins so that everything makes sense, flows, is more intuitive, and ‘just works’ the way you would expect. Along the same design idea, we modified the navigational tabs so they are maybe not quite as playful, but more out of the way while still being easy to see and access when you need them. We also worked very hard to improve the on-board help system. 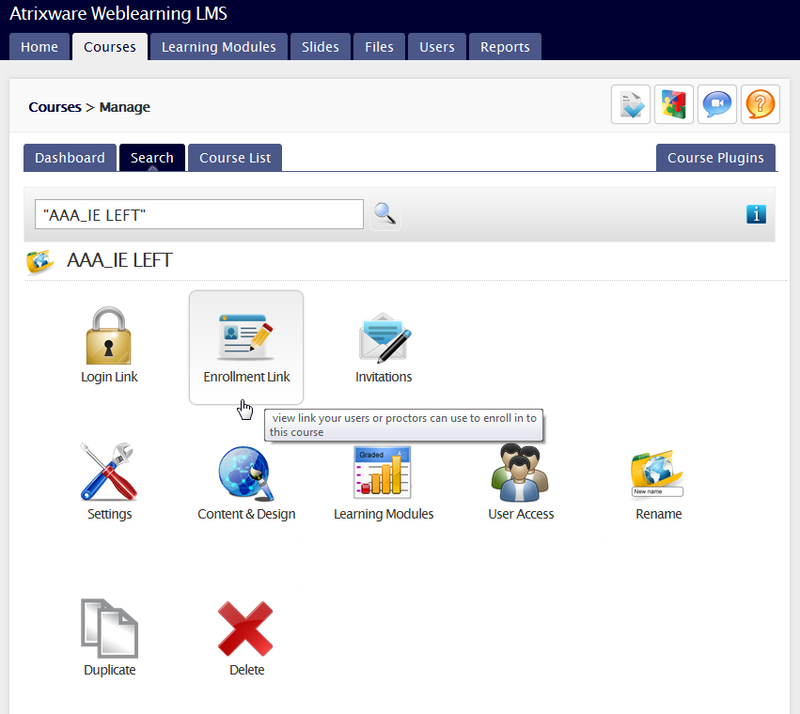 As easy as we like to think it is to use, an LMS is inherently a complex system, so there is always room for improved help and usability. So in this version, we added a few things to address that. 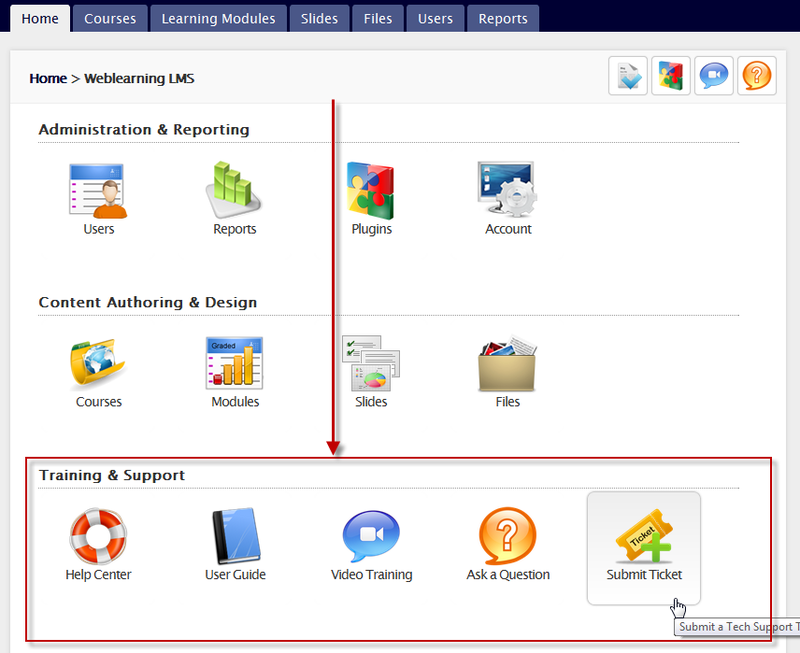 First, whenever you navigate to a major section of the interface (home, courses, learning modules, slides, files, users, reports), there is a right-panel area of contextual help for you – which is composed of articles and tutorials that relate to the area you are in, and also recent questions and answers contextual to the area you are in. They are sort-of out of your main focus, but, are easy to access if you get stuck. In addition, we added an entire row of icons on the home tab that take you directly to the various help and resources available to you, including a ‘Submit Ticket’ icon which takes you right into your helpdesk ticketing area for your system – where you can both submit new tickets, and also review older ones (they are all archived and available to you forever). We also added a few new “Extras” on the text editor/designers. 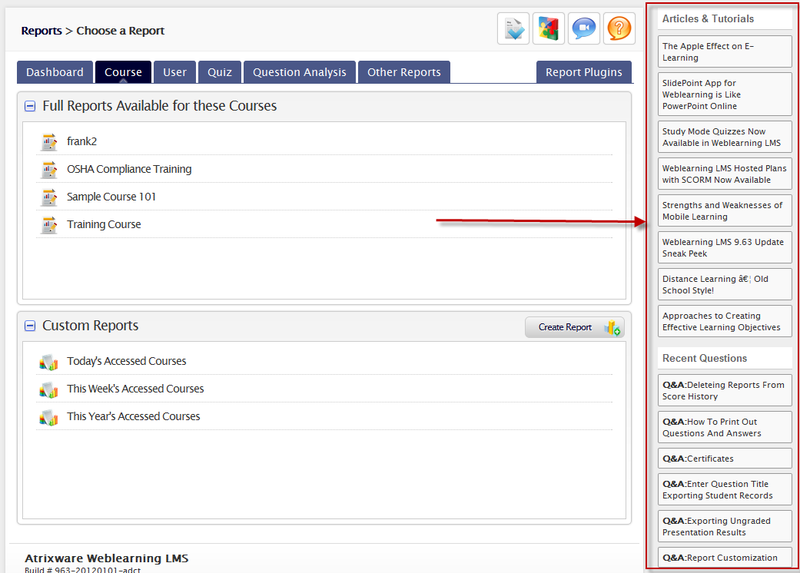 It is now very easy to insert and embed full web pages, external videos, and even Amazon S3 videos into your slides, quizzes, presentations and courses. We also reworked the Insert-YouTube-Video feature so that they work on non-flash devices (mobile, iPad, iPhone, etc). The usual mix of bug fixes and back-end optimization has also been done (although in this round, we did more than usual). There are dozens of other minor things we added/changed, but as this article is already kinda long (if you have read this far – congratulations! ), I will not mention any more. 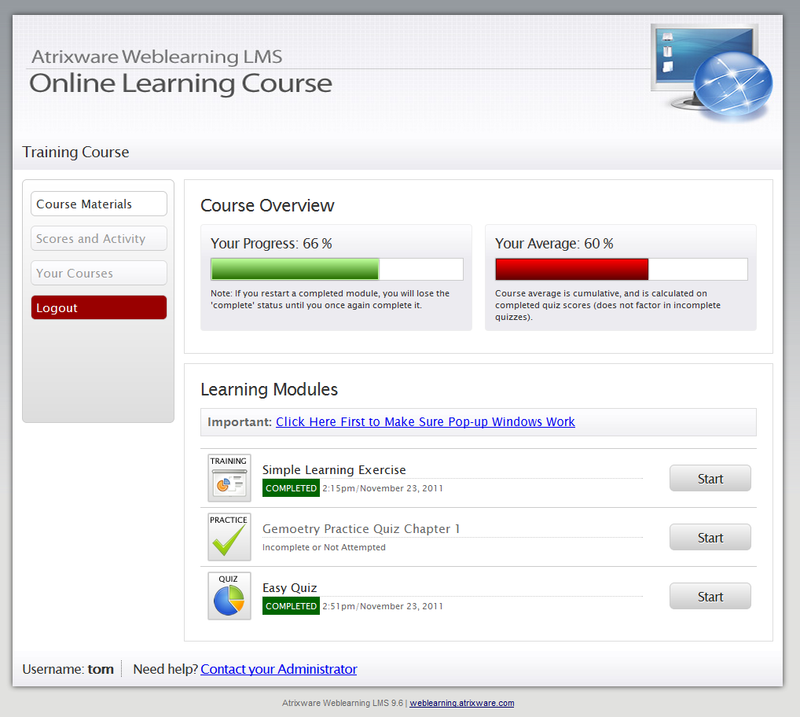 This entry was posted on Saturday, November 26th, 2011 at 2:41 pm	and is filed under ELearning 101, Test Pro Developer, Weblearning. You can leave a response, or trackback from your own site.